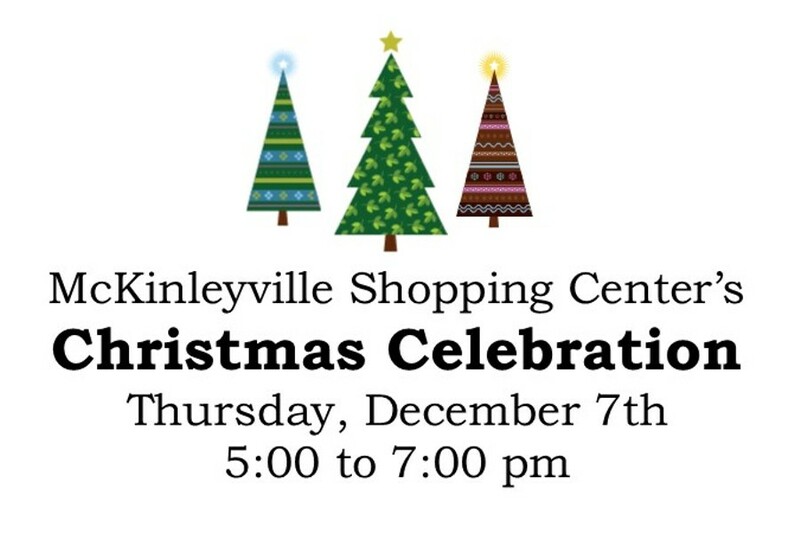 McKinleyville Shopping Center's Christmas Celebration, a free, fun holiday event. It all starts with caroling on the front lawn at 5:00 pm, then Santa arrives on a fire truck at 5:30 pm to light the giant Christmas tree. Take a picture with Santa from 5:45-7:00 pm. Bring your own camera. From 5:00-7:00 pm there will be free treats, crafts, horse drawn carriage rides and balloon animals.